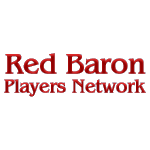 Below you will find Red Baron paints, information and other downloads. Promised Land Graphics – Note: If you have Windows 7 64-bit, do NOT install the original Promised Land Graphics (version 1) as the game crashes to desktop upon exiting. Instead, install the version 2 graphics available HERE. Need the game itself? Try HERE. 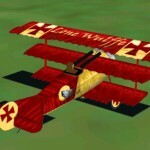 Here is a link to a few Glide Wrappers to try at Wings of Honor. 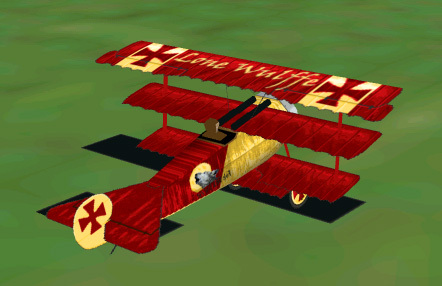 How do I destroy a Rail Yard when bombing in Red Baron? 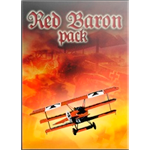 Bombing a Rail Yard is quite easy in Red Baron. There is only one building you must destroy to get credit for destroying this target. Next to the trains there is a little white building (the control building). Destroy this building and the whole a rail yard is destroyed. How do I destroy a factory? To destroy a factory you need only two buildings. Any one factory building and the widest of the long buildings. There is usually one building that is about an 1/8 of an inch wider and is usually the same one in like configurations. How do I destroy a bridge? To destroy a bridge you need to destory at least two supports to the bridge. By making a run long ways on the bridge you can usually have the bomb drop longways and fall through the top into a support. This is the easiest way. How do I destroy a village? To destroy a village is usually easy. If the village has one building then kill that building. If the village has three buildings and one is a church, then only kill the other two buildings first then the church if it does not fall. How do I destroy a supply depot? The first type of depot with buildings just bomb two of the buildings. In the buildingless configuration, you will need to hit the ammo strips to drop the depot. These are the long black slits in the ground.